guess what?!? 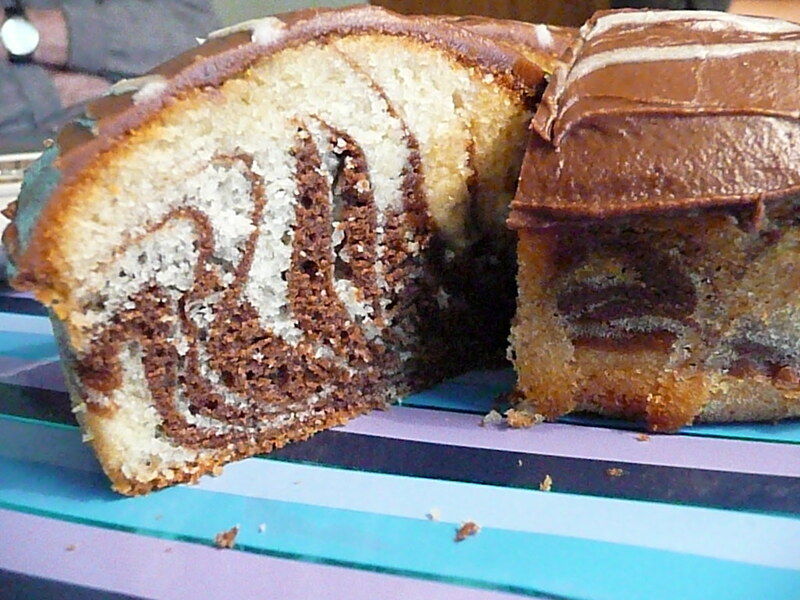 : Happy Birthday Mum - Zebra Cake! 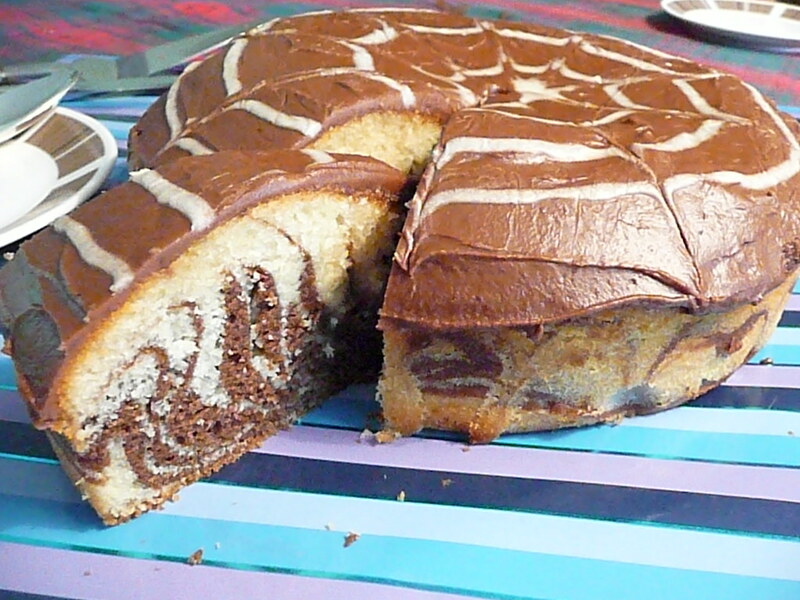 Happy Birthday Mum - Zebra Cake! 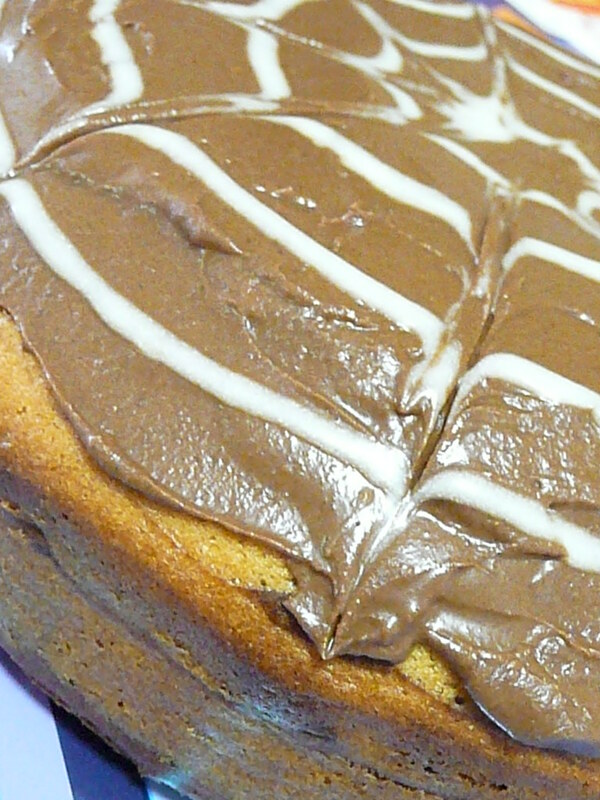 For my Mum's birthday (which was way back in May) , I decided to make a zebra cake - recipe from here. The only change I made was the addition of icing, because, well, it was for a birthday, and a birthday cake needs icing!! Despite appearances, this was a very easy cake to make, with the only fiddly part being the alternate spooning of mixture into the cake tin. The resulting pattern inside the cake was certainly worth it. THe cake tasted good too!! it actually looks more like a spider cake. not that I would turn down a slice...but think spiders. your information is very best information.your information is very useful for us.I really impressed to read all this great information.I really appreciated this great information.I got the very best information from your site.I want to be visit here again so I hope I got the more better information from this site.thanks for sharing all this information..Best information about the massage on this site.I got the very best ides from your site about the massage.I really impressed to read all this great information.I really appreciated this great information.your information is very useful for us.thanks for sharing all this great information. Lunch at Home - Wholemeal Bread! !